The day is finally here! The big reveal of our family Halloween costume. I probably say this every year, but this family Halloween costume theme is my favorite one we have ever done! Each costume was so fun to make and they were all very simple to create! 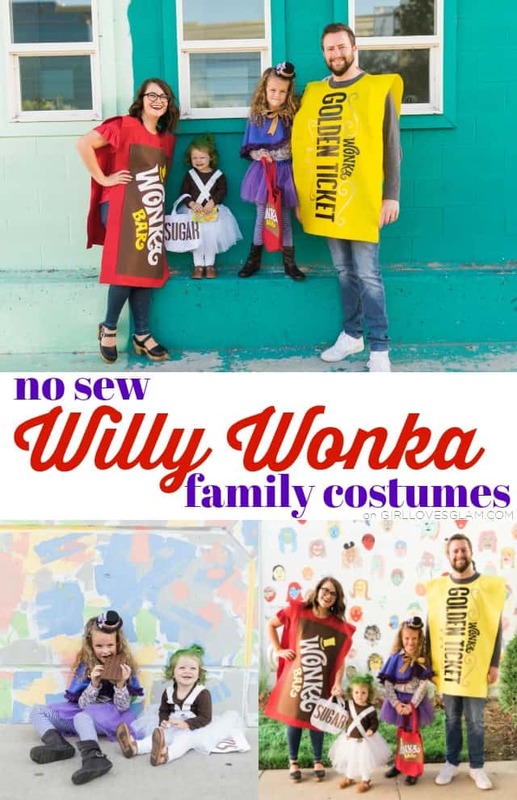 Now to reveal… our no sew Willy Wonka family costumes! The final costume for our Willy Wonka family costume is finally here today and I promise it was worth the wait! 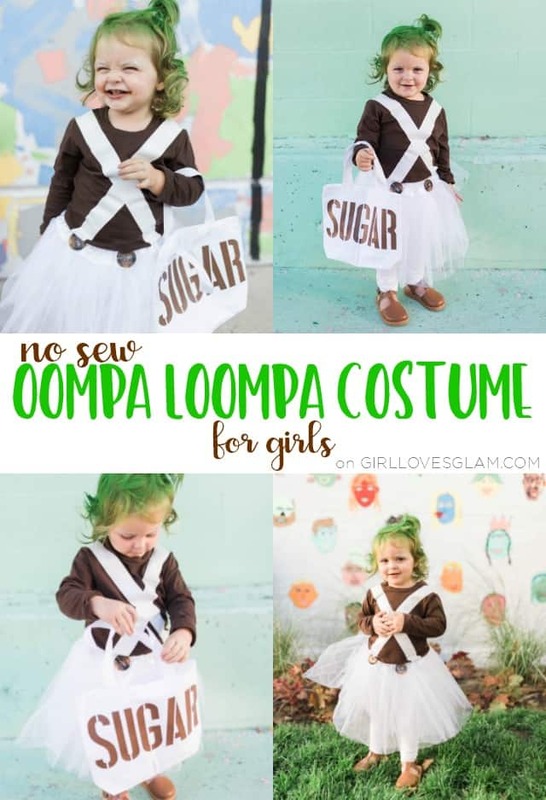 This Oompa Loompa costume for girls is perfect for babies and toddlers. It is just the right about of cute and funny! 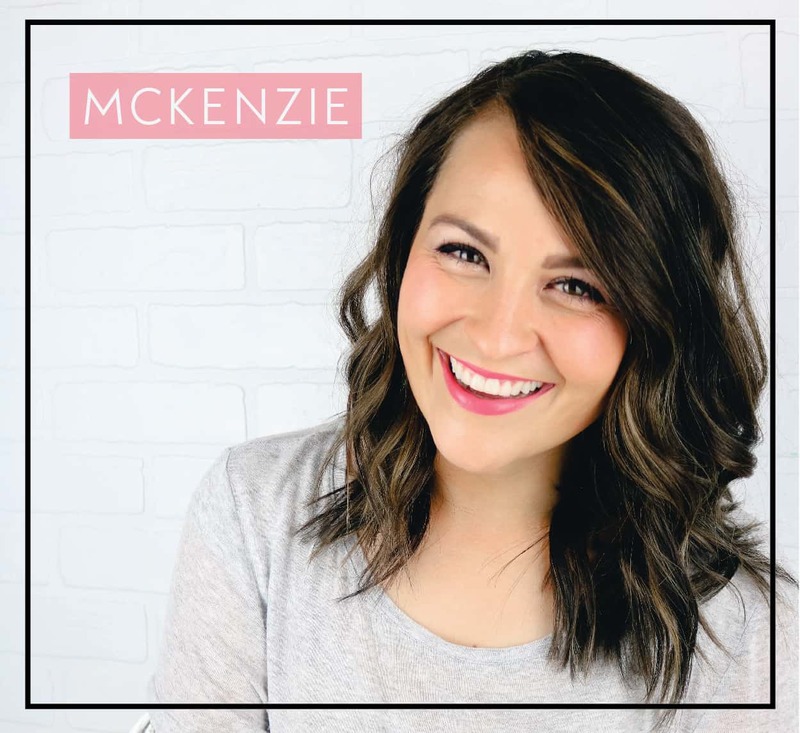 The best part is that you won’t have to pull out your sewing machine to make it!